Bodies of the teenagers, missing since June 12, discovered today. The bodies of three Israeli teenagers who were kidnapped in the West Bank earlier this month have been found north-west of the city of Hebron, Israeli officials confirmed today. The discovery of the bodies drew a strong rebuke from Israeli Prime Minister Benjamin Netanyahu. "With heavy grief, this evening we found three bodies. All signs indicate that they are the bodies of our three abducted youths –- Eyal Yifrach, Gilad Shaar and Naftali Frankel," Netanyahu said before the start of an emergency cabinet meeting. "They were abducted and murdered in cold blood by human animals. On behalf of the entire Jewish people, I would like to tell the dear families –- the mothers, fathers, grandmothers and grandfathers, and brothers and sisters –- we are deeply saddened, the entire nation weeps with you. We will give the boys a proper burial." Then the prime minister quoted Israeli poet Hayim Nahman Bialik. "'Vengeance for the blood of a small child, Satan has not yet created,'" he said. "[N]either has vengeance for the blood of three pure youths, who were on their way home to meet their parents, who will not see them anymore. Hamas is responsible –- and Hamas will pay. May the memories of the three boys be blessed." The Israeli Defense Forces said in a statement earlier today that the "bodies are currently going through forensic identification. The families of the abducted teens have been notified." Hamas, the Palestinian militant group accused by Israel of taking the boys, has denied kidnapping the teens, though senior Israeli and Palestinian officials agree that the abductors were likely tied to -- or part of -- Hamas but operating without orders from the organization's leadership. One of the teens, 16-year-old Naftali Frenkel, had dual U.S.-Israeli citizenship and his family is from Brooklyn, N.Y.
FBI Director James Comey said the agency launched an investigation into the kidnapping as soon they went missing, since one of them is an American citizen. Israeli forces have conducted raids in the West Bank in the search for the teens and their kidnappers since they were abducted on June 12. Since the search started, more than 240 Palestinians have been arrested in the operation dubbed "Brother's Keeper," the army said. Knesset sessions for tonight have been cancelled, according to Israeli media reports. (Israel Ministry of Foreign Affairs) Eyal Ylfrah, Naftali Frenkel, Gilad Sha'er, are seen in these undated photos. There are reports that Israeli soldiers have already been deployed in Hebron, and Israeli TV stations earlier showed pictures of soldiers searching through rubble and military vehicles moving through the village of Halhul, just north of Hebron. At the end of a White House press briefing, Press Secretary Josh Earnest was asked about the report of the deaths, news of which broke in the middle of the briefing. 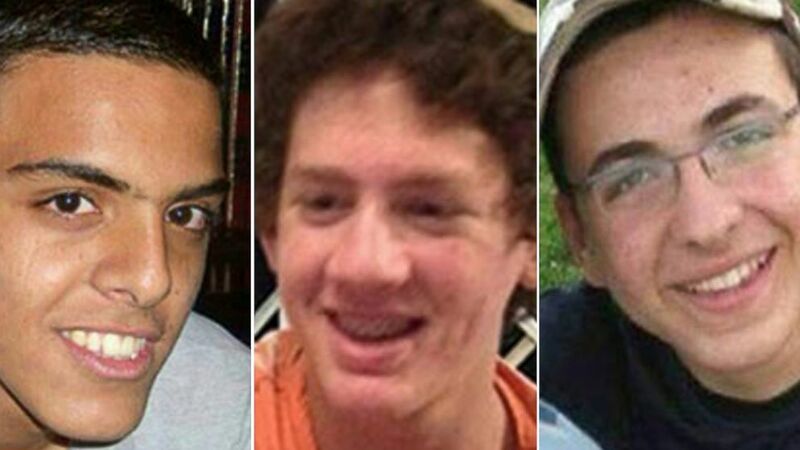 The State Department briefing began about 20 minutes after news broke of the Israeli teenagers’ bodies being found. Spokesperson Jen Psaki urged "continued security cooperation” between the Israelis and Palestinians, despite "the tragedy and the enormous pain on the ground as a result." She would not speculate on how the U.S. interaction with the new Palestinian unity government might change in light of this news. ABC News' Mike Levine and Ali Weinberg contributed to this report.